We’ve got another set of clip cards for you. This time they’re the -op words clip cards. 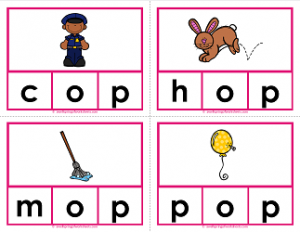 The five cvc words included in this set are: cop, hop, mop, pop and top.